Shopping online is very simple and quick unlike shopping in the mall. It is very convenient and saves you time and gas whenever you shop online. There are a few websites that I trusted online and I also like to look for other websites where I can find a much better deals. Today, I have the opportunity to review an Open Slit Classic Pencil Skirt w/ Side Buttons by Oriondeals. The product can be purchased through Amazon. The packaging is great, I don't see any damage due to shipment and I have the chance to wear the skirt after I wash it. I choose the Dark Khaki color, it comes with different sizes as well as the color of your desire. The waist is stretchable which I adore, since I gave weight after pregnancy and I wasn't really trying to lose weight for now, stretchable waistline is what I would like to acquire in my bottoms. 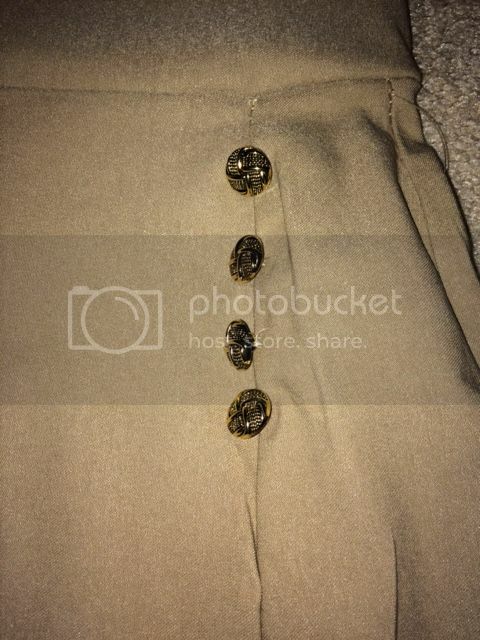 It has a good lining quality, the buttons are just part of the stylish skirt sewed very well. One thing I've noticed is its fine and clean thread lining. Good class, and looks sturdy too. I've worn it at least twice and I am satisfied by the product. Nice skirt! I've been planning of buying a similar one for a special occasion soon. I miss wearing skirt like that. 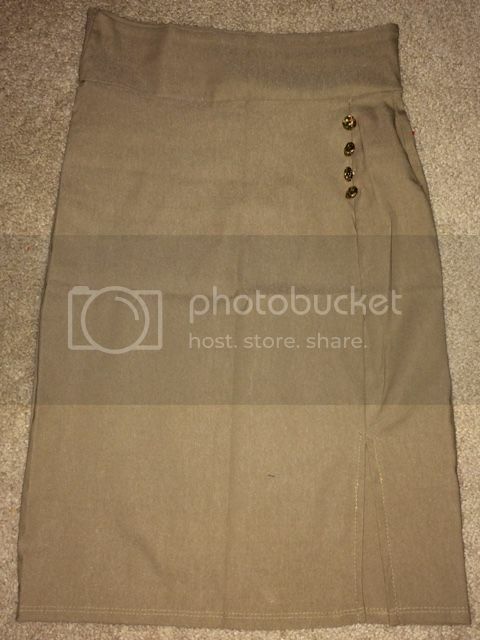 We used to have pencil skirt as our office uniform in school. Cute skirt! Something I'd probably try on and buy at a thrift store if the fit is right. The color is neutral and will match almost any top. I love this skirt Mommy N. I love the color and style as well. It is perfect outfit fot church.